Regular visitors to this site have probably noticed that I do not usually review individual beers here; if you really want to know what I feel about a beer, you can look at my Untappd page. My opinion is that there are many sites out there that will tell you what you should think about a particular beer; I do not expect others to feel the same way about a specific beer as I do, so I will just show you where to experience the brew and you can develop your own thoughts about it. That being said, this article is a little different because there is no tasting room to visit and at the time of my writing this, I am not convinced there is anywhere you can find it on tap. 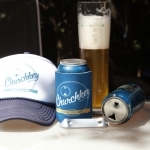 I am talking about Churchkey Pilsner by Churchkey Can Company out of Seattle, Washington. 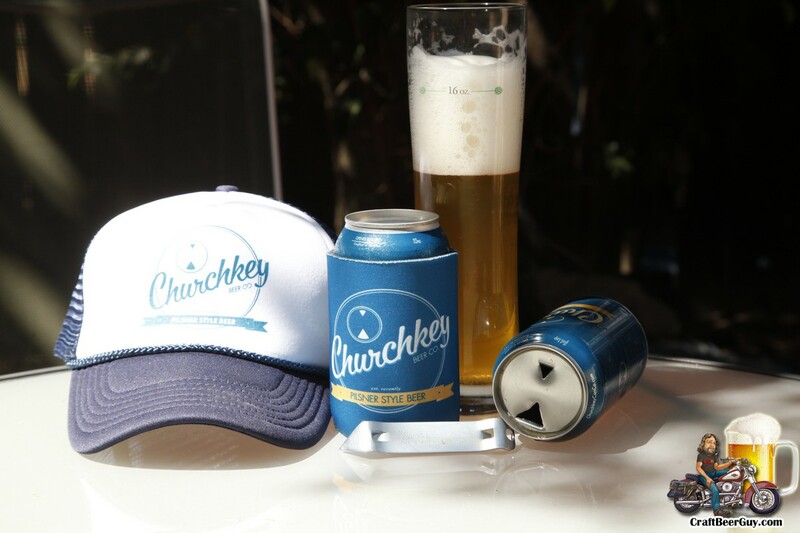 Churchkey Pilsner will be coming to the Los Angeles and Orange County markets soon, so I was asked if I wanted to give it a try. Naturally, I wanted to see what the deal was; when I was a kid, a churchkey was a pretty standard household gadget as it was the days before flip tops and aluminum cans. 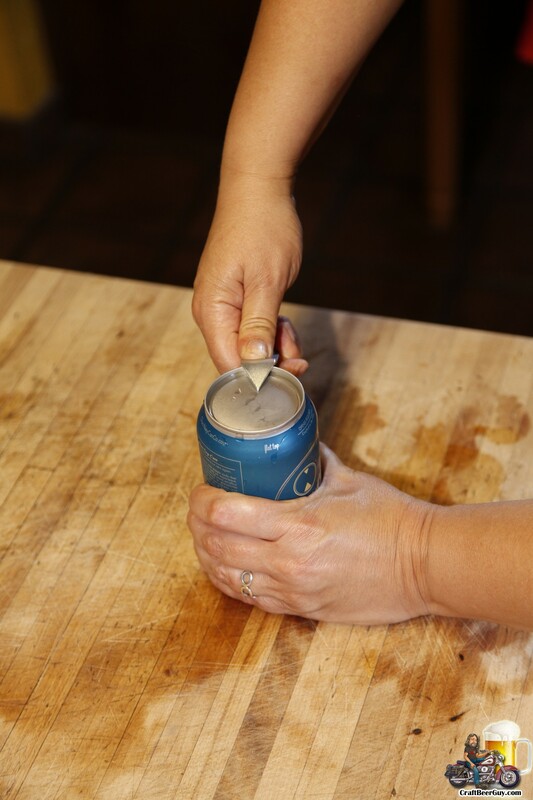 Since there are many breweries opting for canning over bottling, I understood why someone might can their beer; I just wasn’t sure why you would want to need a special opener to get to it. I should probably clarify that no matter how the beer is shipped to me, be it bottle, can, keg, barrel or cask, I am going to pour it into a glass. I am a firm believer that if you cannot smell what you are drinking, you cannot really taste it either. I guess, if push came to shove, I would be more apt to drink directly from a bottle than a can, primarily because in the back of my mind I remember how “steely” beverages would taste from cans; that is one technology that has really improved. Anyway, I had two cans, so I figured I would at least try a little directly from the can, but that would be the second sample. Since Churchkey is a pilsner style craft beer I brought out the pilsner glassware; I would discover that this was a good choice. 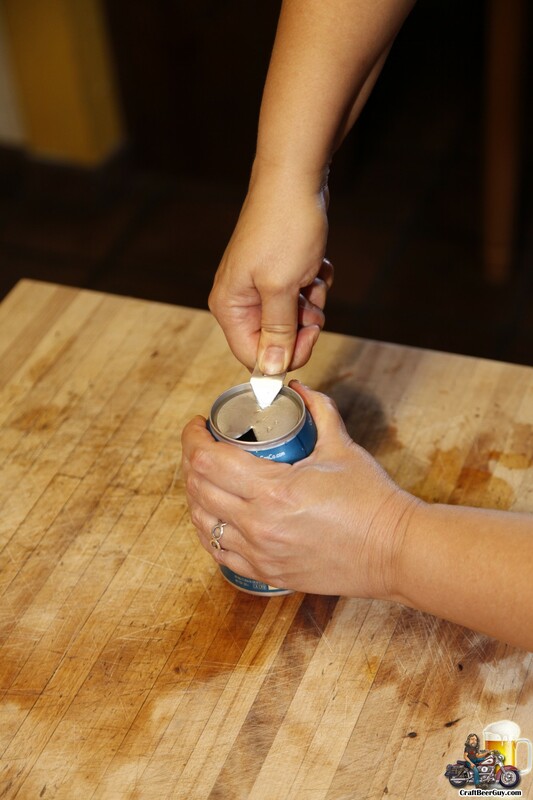 But first, to open the can. 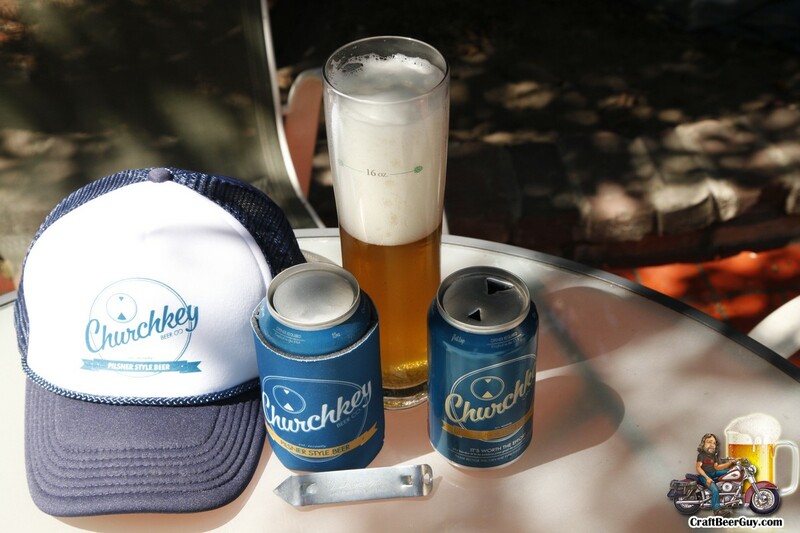 Like I said earlier, using a churchkey is not something I have never done, even if it has been a while. That being said, I felt like it was my first time when I tried to open the can; it did not seem as natural as I remembered. I had Tanya open the second can just to get her input; she had the same experience. 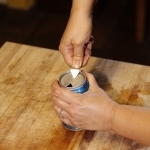 As she does open cans like Hershey’s Chocolate Syrup with a churchkey we discussed the difference. 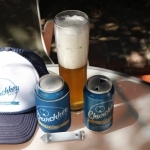 We came to the conclusion that the aluminum can does not have the same support as steel cans; also the top lip seemed like perhaps it was a little too low for the churchkey to properly engage. 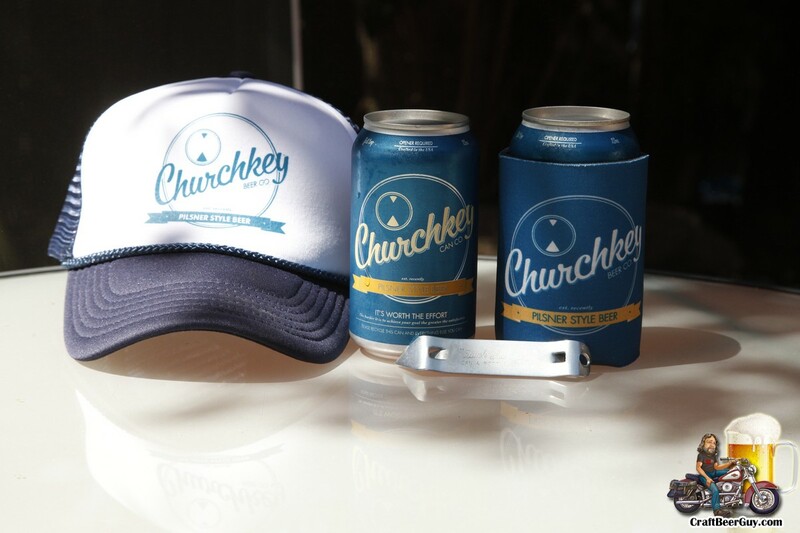 Churchkey’s promo info implies that anything worth having is worth working for; hence requiring the churchkey to get to your Churchkey. I poured the first can into the proper glassware and received the type of head one expects from a pilsner; I was really glad I used the glassware I did. It is a Czech-style pilsner, and at first it kind of reminded me of the lagers my dad used to drink when I was a lad. Tanya on the other hand immediately recognized it as a pilsner style; I guess I have been drinking too many local hoppy pilsners. It was pleasant, but not really my thing. When Tanya opened the second can I took a few sips from the can and came away with the confirmation that beers really do taste better when properly poured. I look around and see that there are plenty of people that drink their beer from the bottle or can and I am not going to be judgmental; as long as I can have a glass. 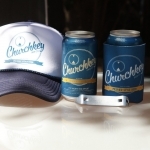 The only thing I am not entirely sold on is the need for the churchkey. Opening a bottle without a bottle opener is doable using anything from a cigarette lighter to a doorjamb; a can is another story. It will be interesting to see if this gimmick takes hold or not and if so, the methods frat boys come up with for opening a can without a churchkey. Cheers!